Blogs When should SMEs choose an overnight courier service? When should SMEs choose an overnight courier service? Overnight courier services have long been the premium option for express delivery. It’s fair to say it represented a chance for small and medium-sized businesses (SMEs) to offer added value to consumers who needed goods faster and were willing to pay for the convenience. However, the explosion of the online retail sector has quickly changed the delivery landscape. In fact, it has continually amplified the new ‘on-demand economy’, which is reshaping expectations. With the rise in popularity of same day delivery, overnight is fast becoming the industry standard: May 2018 saw the highest ever use of next day services, and online retail order volumes were up nearly 15% year-on-year. In response to this, SMEs are under pressure to meet demand. Choosing when to use same day services, and when to opt for overnight services, is primarily a balancing act. SMEs need to remain cost competitive, but consumers are all too aware that express logistics operators have geared their strategies to faster delivery. This means that they have, in turn, come to expect more. So, should you ship overnight? Let’s take a look at what the future holds for next day courier services, and how you can make the most out of them. Overnight delivery has now become so popular that some companies can’t always fulfil their orders. In fact, some have even had to temporarily suspend it to clear backlogs: online fashion retailer PrettyLittleThing for instance recently suspended its next-day delivery option in July due to overwhelming demand. Consequently, they were only able to offer three to five day delivery over that period. Same day delivery has also seen a rapid rise in demand and many experts now believe that it will overtake overnight courier services to become the new standard by 2023. In a recent study, it was claimed that 40% of parcels could be delivered within two hours by 2028 — a staggering prediction that reinforces overnight as the industry standard. Soon enough, customers will no longer accept waiting in all day on a delivery slot that simply reads ‘Anytime between 8 am and 8 pm’. At the moment consumers understand that same day and overnight are premium services that demand an additional cost, but how long will that last? Amazon claims it already has more than 100m Prime members worldwide but a recent interview from the IMRG, the UK’s online retail association, suggested that the impetus for change and the move toward faster delivery was not, in fact, coming from consumers at all but from within logistics companies themselves. 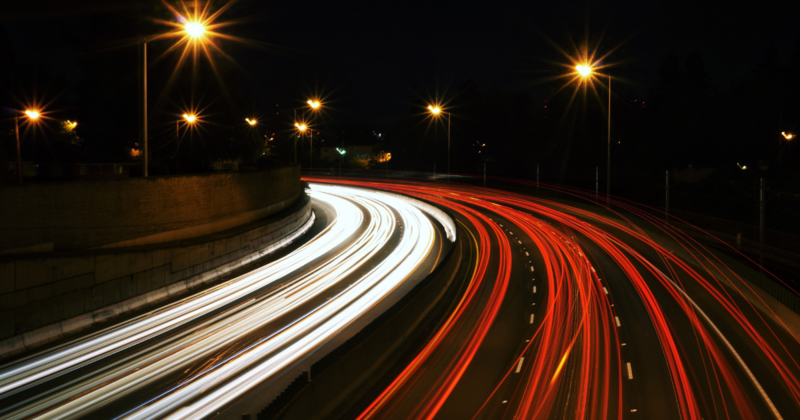 Seeing speed as a potential key differentiator, it was claimed that express parcel companies were pushing overnight and same-day delivery while driving customers away from slower delivery times. For SMEs, the need to deliver goods around the clock, while remaining cost competitive, has meant couriers have also needed to provide a range of services to suit all business needs. This is made even more complex as many couriers now offer differing service options for overnight delivery with standard overnight or priority overnight, which guarantees delivery by a specific time. Something that’s quickly becoming an industry standard for most businesses is remaining entirely transparent throughout the delivery process. Customers being made proactively aware as to the status of their delivery is one of the fundamental elements of building a quality reputation. There are few things that can cause a bad review of your business online than botched deliveries – this is especially damaging for small businesses trying to grow their presence. To that end, there are certain things to be mindful of when choosing your delivery partner. For example, a really simple but highly popular feature among customers is text-notified deliveries. CitySprint includes this service as standard when we’re chosen as a delivery partner. Being a business that offers this can really set you apart from competitors, especially if they need to be in a position to sign for it. Additionally, a quality delivery partner will allow your customers to modify their re-delivery options. For example, in the event of a failed delivery, we offer your customers the option of waiving signage, leaving with a neighbour, in a safe secure area of their choosing or select additional options for redelivery. Allowing your customers a degree of control over their delivery options will make them feel like your business understands their priorities and works around their schedule. Finally, it’s vitally important your delivery and logistics partner works to avoid hidden fees and surcharges. This kind of thing can really rankle your customers. For example, if it transpires your customer lives in an Outer Delivery Area or entirely outside of it, this can lead to residential delivery charges, problems with the delivery itself, lateness or even charged returns. The way to avoid this is finding a delivery partner with a well-established network of partners with whom they can negotiate. For example, choosing CitySprint and their UK overnight service, Transworld, mean a greater degree of control over these hidden fees meaning, for example, that their partners will never apply a residential delivery surcharge – with the exception of UPS. This kind of thing makes all the difference when handling an efficient delivery service for which customers are paying a premium. So when should SMEs choose an overnight service? It’s clear that smaller businesses need to offer the full range of options from their logistics partners and embrace the changing marketplace. Innovations are happening all the time, like crowdsourcing, dedicated time slots, base to base (Click and Collect) and subscription-based services. However, for now, at least, the logistics giants are leading the sector and pioneering a change that is geared towards a future where the speed of goods to market is at the core of fulfilment. SMEs will need to work closely with their logistics partners to make sure consumers are kept happy. Reliability of meeting faster delivery times could be a stronger comparator going forwards, but speedier delivery is unlikely to go anywhere. SMEs need to understand that a range of different delivery options, whether that’s overnight delivery or dedicated time slots, can offer their business a competitive advantage, and offers their customers a delivery service to suit them. At CitySprint, we offer both same day and overnight courier services with speed in mind. We ensure that your consignments arrive securely, safely, and in time — making sure that your customers are satisfied. If you’re interested in learning more about our services, head over here for more information or contact us directly.